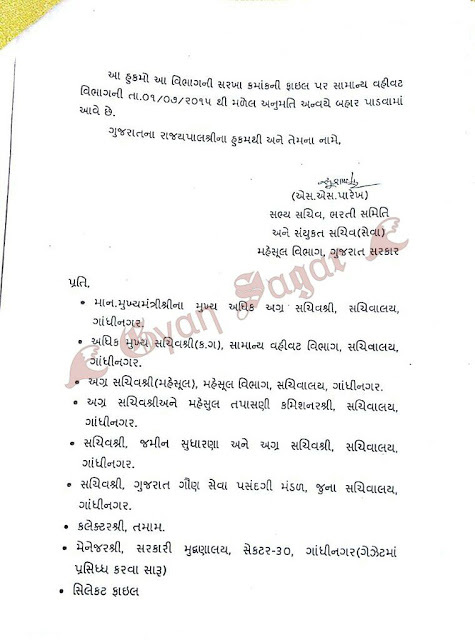 Breaking & important notification published by Revenue Department of Gujarat for Revenue Talati Recruitment Exam 2014. As per notification Revenue Talati Exam canceleed due to certain reasons. 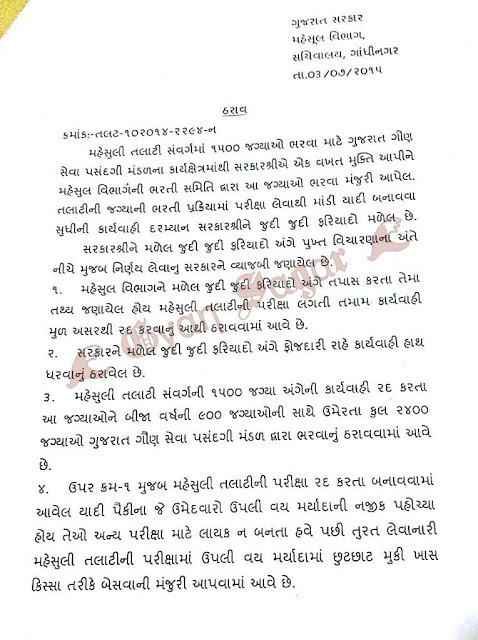 1500 Revenue Talati Exam has been canceleen and new 2400 Revenue Talati Bharti 2015 notification will be published soon by Gujarat Gaun Seva Pasandgi Mandal. Candidates are advised to stay connected with us for latest updates. talati nu result kyare aavse ? stenographar no test ma Gujarati bhasha na kya font this computer test levama aavse mane Gujarati sarak ma typing aavde chhe .